The Community Investment Fund (CIF) is now closed for applications in Round 2 (2017) of funding. The application form can be found here and the guidelines for funding here. Applications for funding will open for Round 3 (2017) in July. The CIF is dedicated to the Marulan and surrounding communities. The CIF is a $50,000 in cash and in-kind contribution Holcim Australia has dedicated as a contribution to community focused projects each year. Ellie Eggerking - Independent Chairperson (pictured, right). 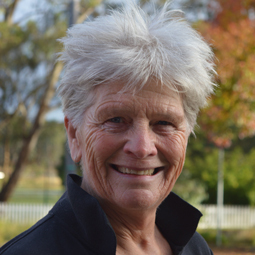 Ellie spent 10 years in the ACT public service for before relocating to Marulan in 2012. During the time she has become a local, she has been actively in the community with the Marulan Volunteers, who have a fortnightly commitment to maintain neatness and cleanliness of the town’s streets, as well volunteering for the annual Kite Festival and Australia Day celebrations. Mark Fenton Jones - Community Representative (pictured, right). 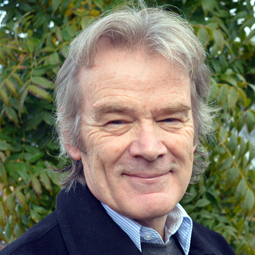 Mark is a respected journalist who spent more than 30 years working in the industry. He spent a decade at the Australian Financial Review as editor of several of that paper’s business sections, which included Special Reports, as well as Professional Services and Enterprise. During his time as editor of the Enterprise section, Mark sat on panels, such as Ernst & Young ‘Young Entrepreneur of the Year award’, which evaluated the suitability of enterprises for start-up finance. Mark has lived in Marulan since 2002. 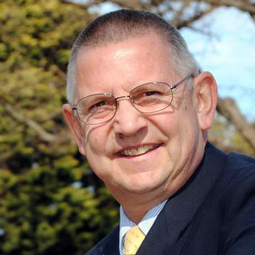 Mayor Geoff Kettle - Council Representative (pictured, right - photo courtesy Goulburn Post). Cr Geoff Kettle was elected to Goulburn Mulwaree Council in June 2009 and became Mayor in September 2010. Cr Kettle and his partner of 20 years, Sharon, own the Marulan Newsagency. He has a background in policing, finance, small business and politics. The committee will ensure that the funds reach the maximum amount of community members as possible and are allocated to projects that align with our sustainable development principles. Providing a framework for implementing Holcim’s approach to social responsibility and community engagement.